It's definitely true that “an ounce of prevention is worth a pound of cure” when it comes to your oral care. With regular brushing, flossing, and preventative dentistry, you can avoid some potentially painful problems later. Good preventative oral care can even help lower your risk of developing several chronic diseases that can negatively affect your overall health. In this blog, the doctors at Dental365 in NYC explain why preventative dentistry is so important. This type of dentistry is oral care designed to keep your teeth and gums healthy and achieve and preserve a healthy smile. It involves education, treatment, and practicing healthy habits in order to avoid gum disease, cavities, enamel wear, and other dental issues. Professionally clean your teeth – A hygienist will clean along and below your gum line to remove plaque and tartar. This can help reduce your chances of having cavities, gum disease, and other issues. Your teeth will also be flossed and polished. Thoroughly examine your teeth – Your dentist will check your teeth, gums, and mouth for any signs of problems. Take X-rays – X-rays are usually taken once a year to diagnose problems such as impacted teeth, abscesses, or decay between the teeth. 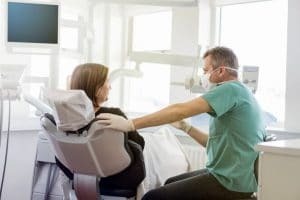 Regular preventative dental care can help prevent problems, and if any do arise, can enable you to get treatment before the issue becomes any worse. It’s often easier – and less costly – to fix smaller problems before they become larger ones that can compromise the appearance of your smile as well as the way you bite and chew. In addition, good oral health helps reduce your risk of developing several serious chronic health issues such as diabetes and heart disease. Where can you get convenient, experienced care? Take care of your teeth, gums, and mouth by making an appointment with or dropping by Dental365 today. Our doctors are experienced and well trained in preventative dentistry, as well as in general and more specialized types of dental care. If you do have a dental issue, we’re well qualified to treat it so you can maintain good oral health. We’re open seven days a week with multiple locations throughout the New York metropolitan area for your convenience.